The ladies 1s started their Saturday with a very early meet time to make the journey to Ashford by 9am! Despite the very early start, we were very awake and ready for the game. Probably due to the amount of coffee drunk! We started strong and full of positivity. The first half was very even, including some great attacks and fantastic teamwork in defence including Charlotte Ellingham saving a goal off the line in a short corner and Chris making some vital saves! The second half continued much the same but unfortunately Ashford managed to sneak a goal past our defence! Our heads still held high, we didn’t give up and our backline continued to hold strong including another save off the goal line, this time by Talyssa Mensah! A quick turn around by us saw us put the pressure on up front and after the third rebound from the Ashford keeper we managed to get the ball past her to hit the backboard! A definite team effort but claimed by Caroline! Ashford came back strong and luckily for us they had a goal disallowed! Two minutes before the final whistle Ashford managed to slip past us to score again. Battling until that final whistle went, we never gave up but could not quite manage the score another goal! A well fought game by all and the effort again is most definitely not reflected in the final result! Scoreline ended in a 2-1 loss! MOTM was Chris Putt well deserved as she made some fantastic saves to keep us in the battle! DOTD was unanimously given to Sarah E-Q for thinking she was kitted to play, then realising she was missing her Astros and stick! No match for the M2s this week. After the February round of fixtures was cancelled due to snow, normal service was resumed for March with the Girls U12s heading to St Albans and the Boys U12s at Potters Bar, whilst at Southbury Leisure Centre we hosted the Boys U14 tournament. Check out our tournament reports below. Our girls under 12’s team travelled to St Albans this morning for the latest Junior Herts league tournament. We had no subs and the rain was pouring down but it did not dampen our spirits. 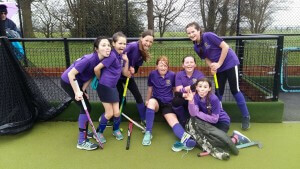 The first match was against Harpenden. We mostly kept our shape and attacked with gusto and were unlucky to concede a goal. Second game was against a strong Royston B team, we defended multiple short corners and conceded 2 well taken goals. Our heads did not drop and after a change in formation we took on Broxbourne and produced a goal! A stong run from winger Harriet passed to Kirsty who fed Isabel for the shot. Broxbourne equalised and the match ended in a draw. Our final game was against Blueharts. Buoyed by our last match we started with passion. The well drilled Blueharts team were strong in attack and we were strong on defence. We held them to a 0 – 0 draw. This team are continuing to grow in confidence and skill. 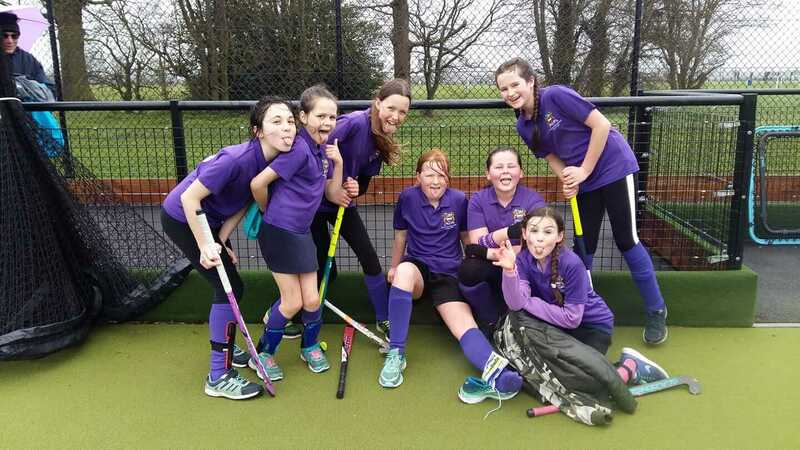 Harriet, covering the entire pitch with endless energy; Molly, so solid at the back; Elize, always running into space; Kirsty controlling the midfield; Emily, super fast on the wing; Mary, tenacious in defence and Isabel, with her great ball distribution. Lots to build on for the future. The boys U12 team headed out to Potters Bar today for the latest round of the Herts junior League. A cold, wet and windy morning did not seem to bother the kids (unlike the adult spectators!!) as they took on the usual suspects from Royston, Blueharts (x2 teams) and Hertford. The boys battled hard in all the matches, and performed particularly well in games 2 and 3 against Blueharts Pumas and Hertford, taking the game to the opposition and creating several good scoring chances in each game. However, the luck was not with us today, with shots being deflected wide or being saved by a sprawling keeper, and our boys were robbed of a deserved point after a last minute breakaway goal from the Pumas. Lots of great performances throughout the team – Joseph with some great goal line clearances, William solid tackling and hits up field, Thomas winning the ball back in defence and midfield, Harry bringing the ball out from the back to support the midfield, Ben using his skills and speed on the right wing, Sam working hard on the left of midfield, Zafar’s skilful dribbling through the middle and Siva a live wire in midfield and attack, always wanting the ball. The boys have made some good progress this season, but so have the opposition teams, so we need to keep working hard on our teamwork and I’m sure the results will come. The acronym TEAM stands for Together Everyone Achieves More & indeed a worthy 4-0 win stood this afternoon for the M2s @ home. Good supportive interplay was the order of the day as the M2s pressed & probed & frustrated the visitors psychologically & physically. A penalty flick was awarded to Dominic; Stan found the backboard & Leo added 2 more to the total clinching the much-needed goal difference. Well done everybody, and many thanks to our umpires Chris Moran and Graham Sparrey who stepped in at short notice. 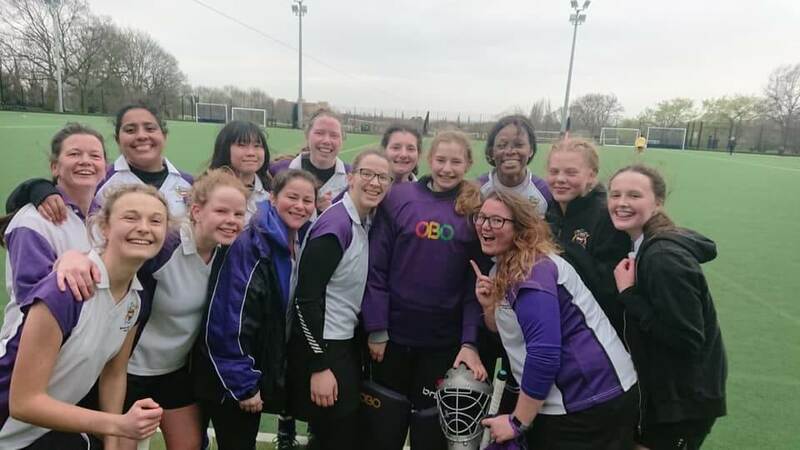 This week brought not only slightly more sensible hockey weather but also Abbi back from injury, Mia back from the Italian Alps, Captain Pip with a raging hangover and Lisa back into defence (bye bye #journeytocentremid). We began the game strongly, with our midfielders using their pace against an older and slightly more stationary BA Hayes. Charlotte intercepted a Hayes 16 and with a ball into the D for Abbi to collect and calmly slot between the keeper’s legs to cement our upper hand. As only family can, she made sure Charlotte knew her goal count, whispering 12 as she jogged back to our half. Beth Deane – C’s coming for your assists trophy. We continued with lots of fab movement of the ball kept the pressure on. Unfortunately, against the run of play, Hayes were awarded a short corner which led to a disappointing goal that somehow slow-mo’d over line. After Daddy Deane half-time talk, much appreciated, we maintained the pressure with several free hits inside their D, culminating in a pass to Charlotte who shot the ball between the keepers legs which Abbi stole/secured depending on which one you talk to. 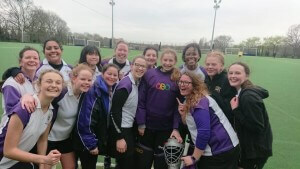 A little ill-discipline in the defence, mainly me forgetting I was back in defence (hello again #journeytocentremid) and christening my brand new astros with a ball to both feet and my hand (all at once) led to 2 goals for Hayes. A frustrating end to a good game with lots of positives: Romy following in Captain Pip’s footsteps by freight-training out to clear the ball away from our 23, Abbi and Ellie working well together up the left-hand side, Kate and Mia tirelessly covering miles and hassling the opposition into making mistakes, and Charlotte (the assist Queen) selflessly sending balls into the D.
With no subs and playing against second in the league, we knew today was going to be a tough one. After a long drive to Teddington we faced our first battle of the day, finding a parking space. Those unlucky few found themselves starting their warm up early with a long walk from their cars! Once kitted in their ‘changing facilities’ we then faced the choice of a warm up on a muddy field or on the side of the pitch, the latter seeming the best option. A delayed game before ours then meant we had a brief but fast paced hockey warm up. None of this phased us, not even their 5 subs and a coach on the side line! We took the game to them and started strong with some great attacks. We worked well as a unit across the entire pitch with the midfield being the strong glue between the defence and forward. In the beautiful and unexpected sunshine the defence relentlessly battled to keep the constantly changing Teddington forward line from finding the back board. Not long before half time and following from our attacking short corner, Teddington made a fast-paced break and opened the scoring. Shortly after, they gained their own short corner and quickly converted it to 2-0 at half time. The second half started very much as the first half finished, with Teddington piling on the pressure. With support from the entire team, we continued the battle in defence but we’re unfortunate to concede another 2 goals. Not once did our heads drop and even though our pace slowed, we never gave up. Although the final score was a 4-0 loss, this by far does not reflect the commitment and drive that the team had today. Special mention to Karen Smith Gray for completing a 5-hour round trip so she was childless today to then go on to receive 2 separate head injuries (unfortunately receiving DOD for one of them) and was a close second for POM. Player of the Match was Rachelle Alexandra for being on the floor for the right reasons and making amazing tackles. I was very proud to stand in as captain today and lead the ladies who showed so much positivity and drive. The score line does not by any means reflect our game and we were unfortunate to not score any goals of our own.